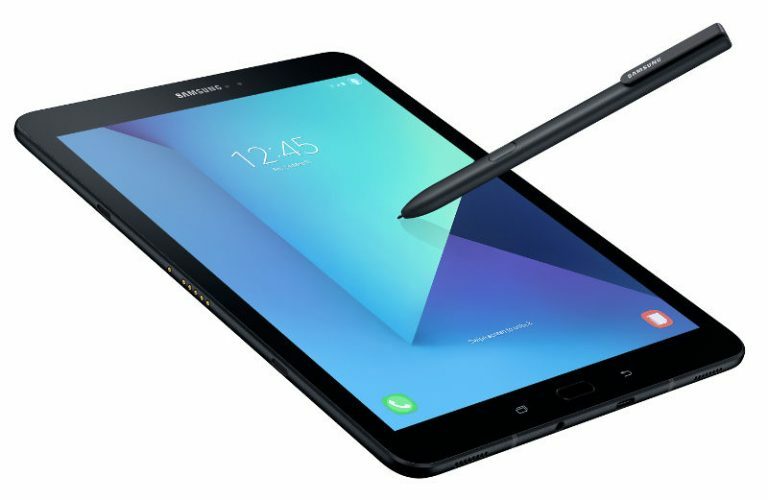 Samsung has announced the company’s latest Tab, Samsung Galaxy Tab S3. 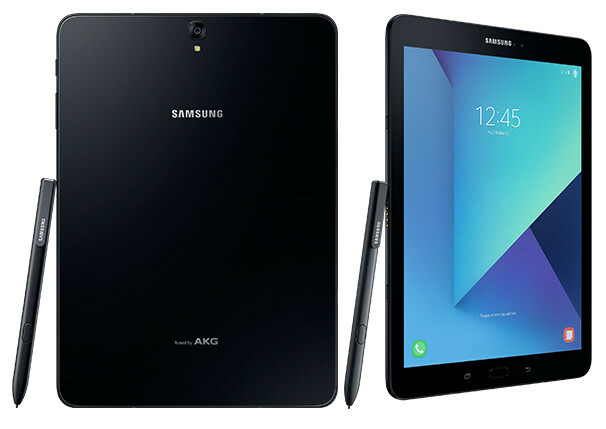 It is the successor of the Tech giant’s Galaxy Tab S2 which was launched last year. The new tab comes with a keyboard cover and book cover which are connected via the magnetic connector on the bottom of the tablet. Let us have a brief look at its specifications. The tablet sports a 9.7-inch QXGA Super AMOLED display at a resolution of 2048 x 1536 pixels. It is powered by 2.15GHz quad-core Snapdragon 820 64-bit Quad-Core processor with Adreno 530 GPU and runs on Android 7.0 (Nougat) out of the box. The mobile comes with 4 GB RAM and 32 GB internal memory which can be expanded up to 256 GB using microSD card. The device comes with 13-megapixel primary camera and 5-megapixel selfie camera. It is equipped with a fingerprint sensor on board to provide an additional layer of security and supports USB 3.1 Type-C, GLONASS, GPS, Bluetooth 4.2, Wi-Fi Direct, WiFi 802.11 ac (2.4GHz/5GHz) MIMO, 4G LTE (Optional). The mobile packs a 6000 mAh battery and weighs 434 grams with 169 x 237.3 x 6mm size measurements. 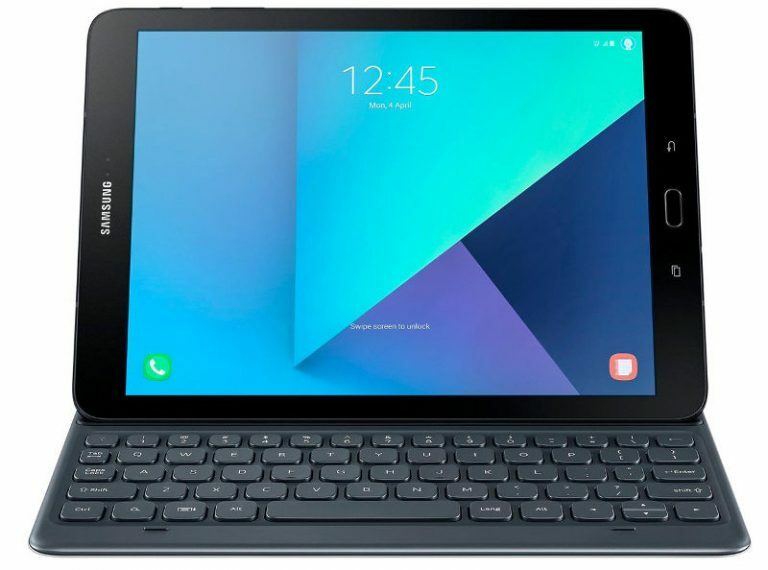 Samsung Galaxy Tab S3 will be available in Silver and Black colors at a price of 769 Euros (US$ 812 / Rs. 54120 approx.) for the LTE variant and 679 Euros US$ 717 / Rs. 47,785 approx.) for the WiFi variant in Europe. The device will be released in the coming weeks.